2x4 woven wire, "Premium" Bezinal coated, 30 year guarantee. 16 horizontals, 60" high, 2" between verticals, 100' roll. 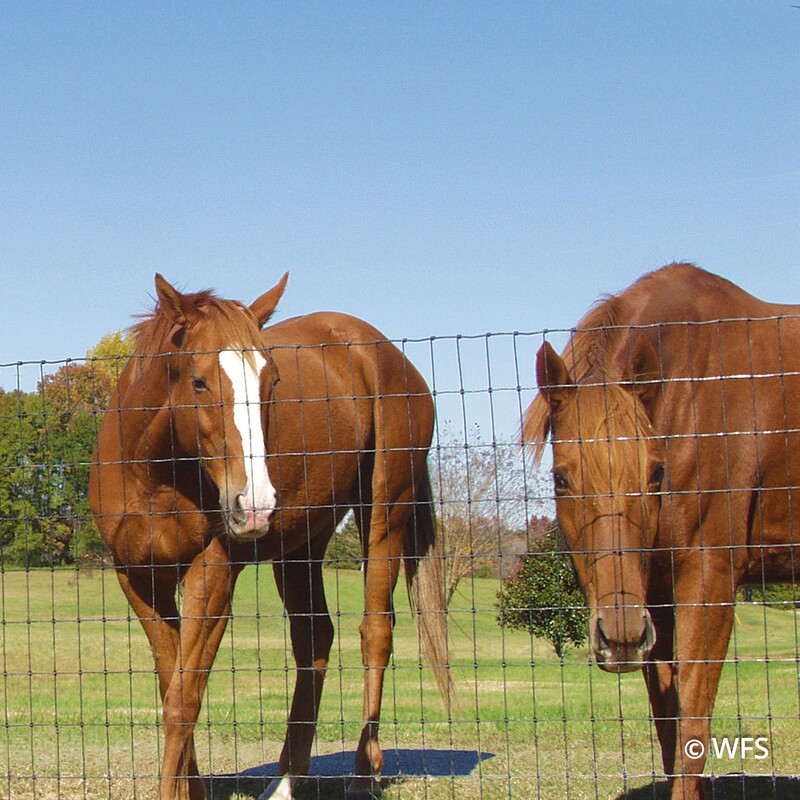 Bekaert's Non-Climb horse fence has uniform 2'' wide by 4'' tall high strength woven mesh tied with the "S" knot for added safety for the livestock. 2x4 woven wire is an excellent choice for horses, alpacas, or other livestock that might present the risk of getting a hoof caught in larger woven wire openings. "Premium" Bezinal coating, 30 year guarantee. 12 1/2 gauge horizontal wires and 14 gauge vertical wires. 16 horizontal wires, 60" height, 2" x 4" spacing. Available in 100' and 200' rolls.